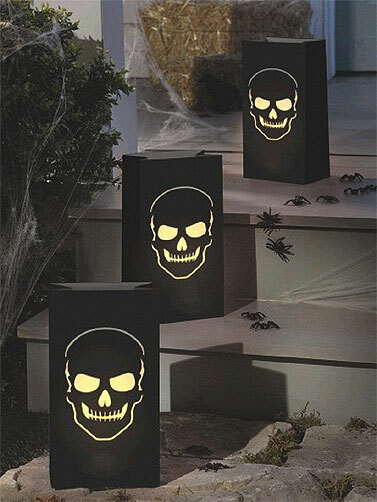 These Boneyard Skull Luminary Bags will help create an eerie pathway to your Halloween home. 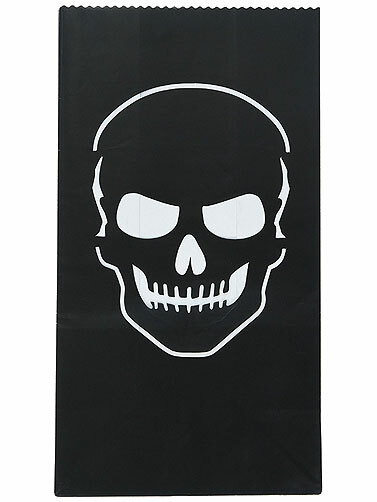 Includes six black paper bags with skull cut-outs that let the light shine through when a candle or lit object is placed inside. Place them along the driveway, on a set of stairs or across a mantle for a spooky decoration. Candles, sold separately. Boneyard Skull Luminary Bags measure 11 1/8"H x 6"W x 3 5/8"D. 6 Pc.